Choosing the best landscape designer or landscape architect for your project is one of the most important factors in whether your project will be a success. A landscape designer or landscape architect should not only listen to your aesthetic preferences and hopeful intentions for how to better utilize the areas around your home, but it’s their job to investigate all of the issues that most homeowners would never even think of. Items beyond material selection, such as site grading, impact of windows and doors, relationship between other outdoor living areas on your property and neighboring properties, and dozens of other technical aspects go on behind the scenes of a thoughtful landscape design. If you live in these, or nearby communities, you know that there are hundreds of choices of landscaping companies. One could think that it was safe to assume that if they offer landscape design services, and seem to be genuinely interested in your project that you could be on the right track. However, there’s so much more to consider to separate the average from the landscape design expert. Experience, training and creativity can drastically vary. Whether your potential landscape company is designing a small improvement or a major project, it’s important to know if you are choosing someone that is capable of thinking about your entire property and future needs, even if the budget doesn’t permit to indulge them at the moment. Both individuals can design the majority of simple to average projects on your property. However, it’s important to understand the difference in training and ongoing requirements there remains for each. A typical landscape designer has either a two-year associate’s or four-year bachelor’s degree. No licensing is required to be a landscape designer, and they can either work on their own, or under a landscape company without any ongoing, mandatory certification requirements. A Registered Landscape Architect (RLA) must have at least a five-year degree and must work under another landscape architect for at least two years before taking a difficult, three-day test administered by the Council of Landscape Architectural Registration Board (CLARB). The RLA also must keep their credentials through continuing education each year. It would be completely possible and extremely typical for us to employ a fairly experienced landscape designer for our projects. However, as shown in all that we do, the typical minimum requirements isn’t what Earth, Turf, & Wood is about. Regardless of the size or complexity of your project, you still get the absolute best. Who makes up our landscape design team? Our Registered Landscape Architect has over 30 years of experience designing all sorts of outdoor living areas, from the modest patio and walkway, to jaw-dropping backyard resorts. And our landscape designer has a 5-year degree in Landscape Architecture as well as over a decade of practical experience with projects of all sizes. 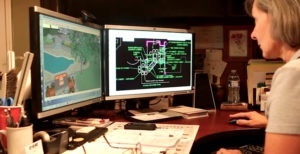 And these are just two people on a very talented team that collaborates behind the scenes to make sure that every landscape design project is unique, innovative and meets the practical needs and budget of our clients. We invite you to begin a conversation with us that won’t disappoint. 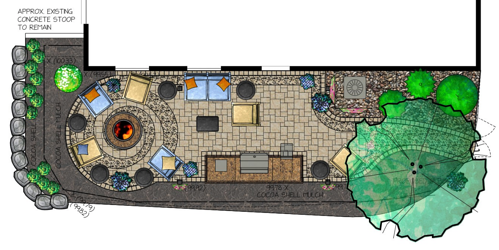 Check out some of the amazing projects on our website, learn more about the landscape design process or landscape design costs, and when you’re ready, schedule a free consultation. (Earth, Turf, & Wood does not provide design-only services). 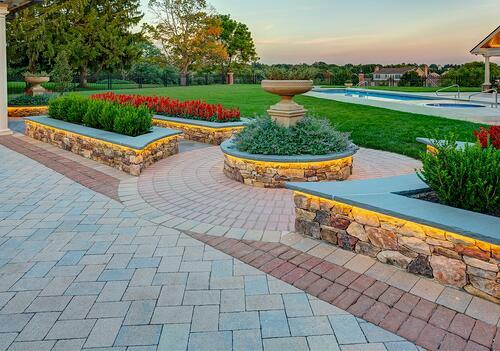 Your dream landscape is just a click away. Serving Southeast Pennsylvania including: Lancaster, Reading, Lebanon, York, Hershey, Harrisburg and surrounding areas. 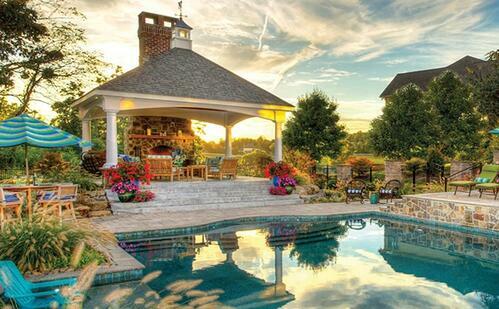 Get tips for a beautiful backyard! MONTHLY NEWSLETTER: Get tips for a beautiful backyard! Copyright © Earth, Turf, & Wood Inc 2019. All rights reserved.